Extracurricular Activities : Dance and Music. 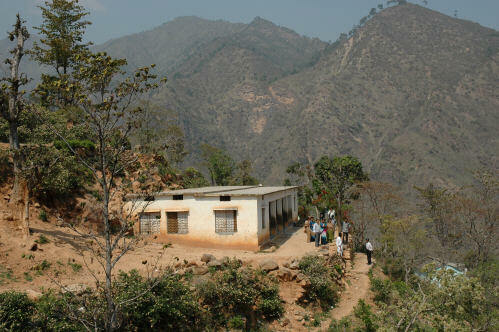 The School is prominently situated at a distance of 3 km North-West from Deo��prayag on the Deoprayag-Gaja Road. In order to reach the School from the centre of the village, you have to climb up 15 minutes across terrace fields. The natural beauty of this place is worth seeing. It is at an altitude of about 700 metres, having a captivating view of the Bhagirathi River. The inhabitants are very great devotees of the Narasimha Mandir in their village. The School started as a Primary School but today it is a Junior High School, running Classes from Nursery to Classes VIII very efficiently and successfully. 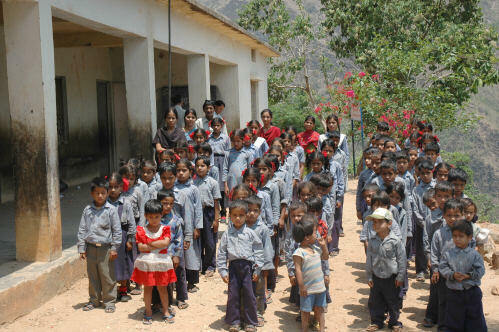 The School has its own building and is imparting quality education for the all round development of the children of this area. 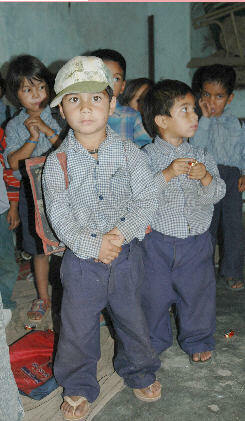 The children from 8 villages, spread over 5 km area, come to this School. Management and the School Staff are highly dedicated and committed to the great cause of education. 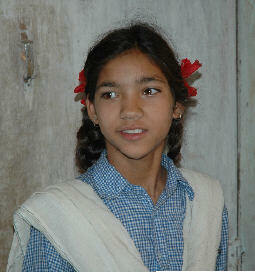 The School also provides extra-curricular teaching in folk-dances and music.